Ireland has some of the most spectacular scenery in Europe and it’s more or less on your doorstep. Get in the car and head off for a road trip, here’s five of the best. A difficult job, trying to narrow Ireland’s scenic driving routes down to five, but we’ve endeavoured to do just that for you. People of course will differ, and while these road trips have everything from the iconic tourist destinations in the southwest to the lesser known coast route in the south west and Ireland’s most northerly point. What’s your top drive in Ireland? We’re pretty confident that West Cork is not only one of the most impressive destinations in Ireland but in Europe and the Sheep’s Head Peninsula offers a stunning drive to take in the sights between Bantry Bay and Dunmanus Bay. Leaving and finishing in Bantry, out the road to Durrus and the road to Kilcrohane allows you to take in the hairpin bends around craggy outcrops of rock and to the sea with some sunning sheer cliffs. You can stop the car and follow the Sheep’s Head Way by foot along 89 km of trail with a low difficulty rating and some unforgettable scenery. Dingle is a jewel in the rugged crown that is the Dingle Peninsula in Ireland’s Co. Kerry. It is one of Ireland’s most popular tourist destination and with very good reason. 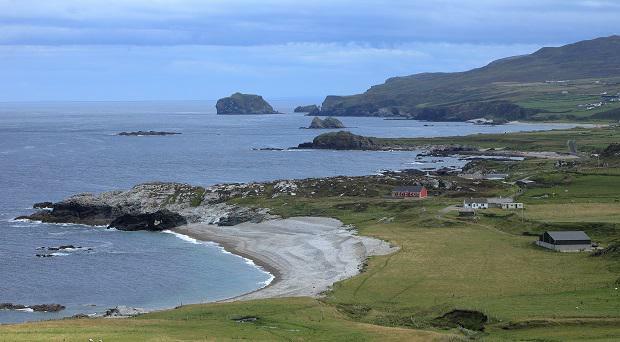 The landscape and flora in this part of Ireland are quite unique with this corner of the island receiving the best of the Gulf Stream’s warmer waters. 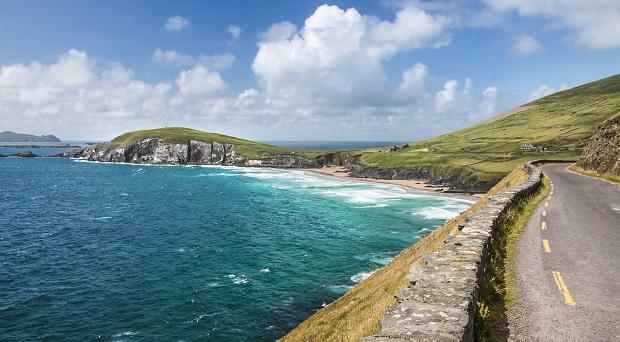 Drive from Castlegregory at the Corca Dhuibhne Peninsula, go west into Cloghane, through the stunning Conor Pass and Dingle and west to Slea Head with dramatic views to South Kerry and the Blasket Islands. After Ballyferriter, continue to Murreagh and Kilmalkedar, to Ballydavid and back to Dingle. 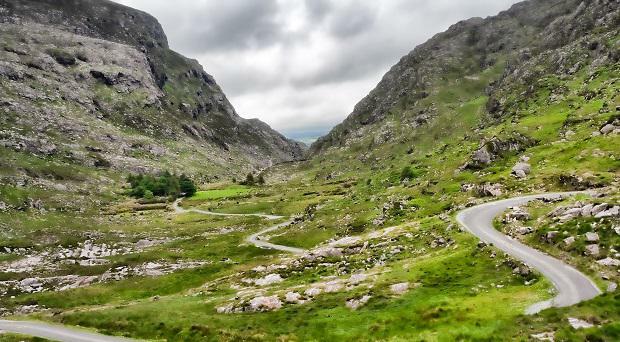 Not only will this drive give you some of the best scenery in Ireland, but the winding roads are a challenging and life-affirming ride. Tourists flock to the 179 km long Ring of Kerry in peak seasons and it can get quite crowded, but if you get there off peak and you have a clear run at the drive from Killarney out to Cahersiveen and back to Killarney by way of Kenmare you will be lost in a magical landscape that would not look out of place in Lord Of The Rings. Just some of the highlights along the way are Gap of Dunloe, Bog Village, Rossbeigh Beach, Derrynane House, Staigue Fort, Moll's Gap, Ladies View, Torc Waterfall, The Blue Pool and Ross Castle. A good stop off on the route is Kenmare one of Ireland’s gastronomic hotspots with some of the finest restaurants in the country and a great place to enjoy some world class seafood. 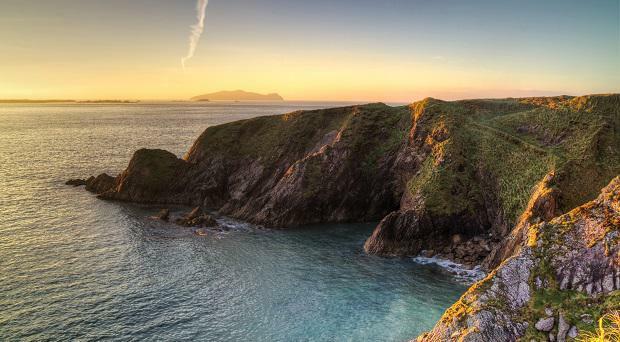 One of Ireland’s lesser known tourist destinations you’ll be far from the hordes in summer but you will be no less impressed by the stunning scenery along The Copper Coast. So called because of the proliferation of copper mines in the region, the many abandoned mines have led the area to be designated the only geopark in Europe. 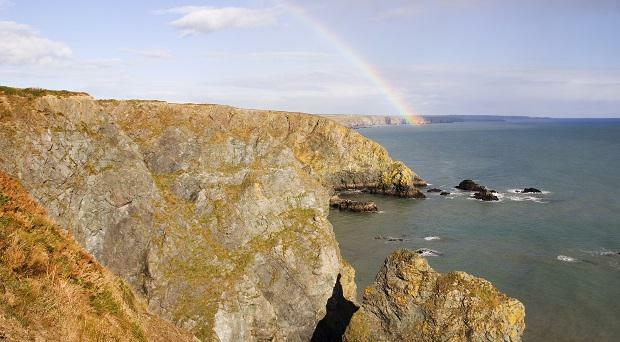 Start out in Dunmore East, as picturesque a corner of Ireland as any, and head west along the coast to Ardmore. You’ll take in the majestic Comeragh Mountains, the Nire Valley and Stradbally Cove. There are many beautiful, sheltered beaches along the way to stop and have a picnic when the sun is out, which happens more in this part of Ireland than any other. 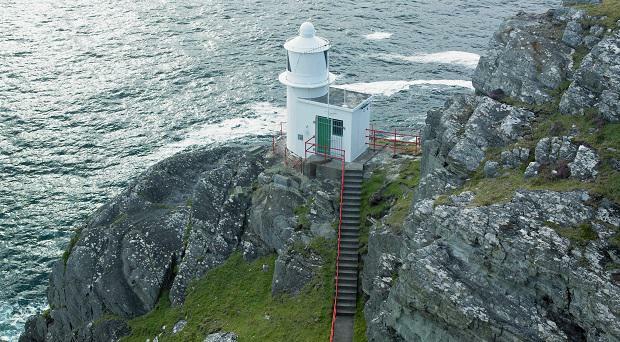 Starting in Derry the drive along the east coast of Inishowen, the peninsula with Ireland’s most northern point, Malin Head, takes you along the shores of Lough Foyle. As you round the Peninsula at Shrove you’ll be able to catch glimpse of Scotland’s Outer Hebrides on a clear day and if you’re lucky there could be pods of whales and dolphins out to sea. At Malin Head you can see the Northern Lights on a clear dark night if there’s activity and as you come back down the Lough Swilly side of Inishowen, you’ll come back by Buncrana and Fahan. Make sure you stop at the stunning Grianan of Aileach on your way back to Derry.